A pass & play drawing game! 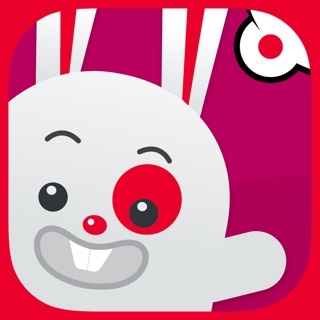 This is a great game to play with 2 or 3 players, so invite your friends! Take it in turns to draw a different part of your Mash Monster and see what beautiful (or terrifying) creatures you make. 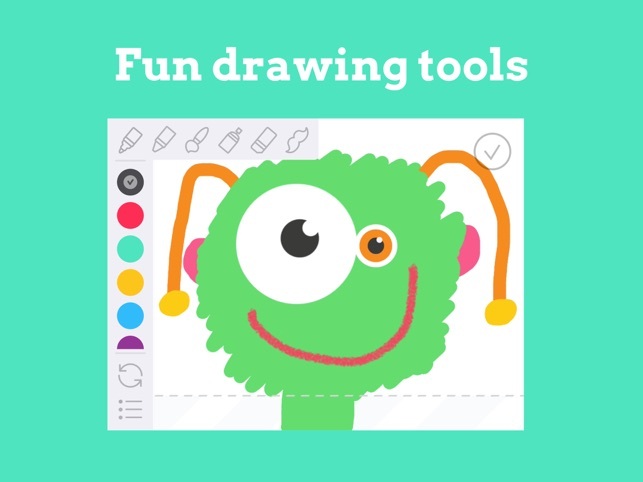 Start by drawing your monster’s head, as scary as you like! Once you’ve finished the head, the app will hide it from sight so that you can pass it over to a friend. They should then draw the monster’s body. Remember, they have no idea what the head looks like! Once they’ve finished, they will pass it back so that you can add some monstrous legs or a tail. Once complete, simply rotate your device to reveal the full creation! What will your Mash Monster look like?! 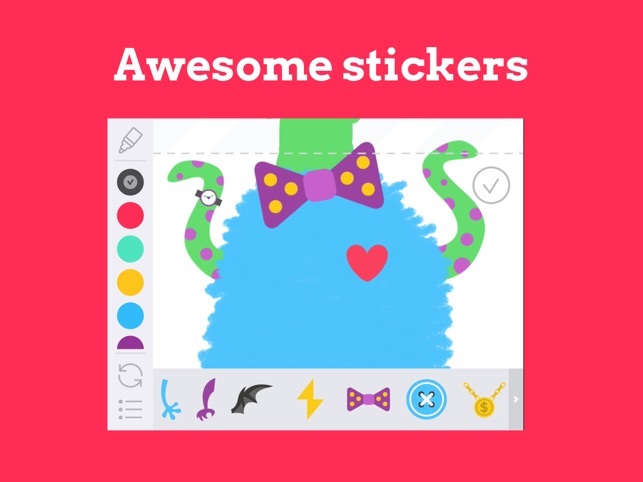 Use any amount of drawing tools, play around with different colours or add wacky stickers to complete your masterpiece. Share your creations with friends & family! 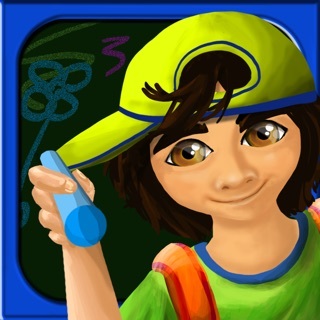 • 5 easy and fun drawing tools - pen, pencil, crayon, spray paint, eraser. • A huge pallet of colours. • 50+ stickers to move, scale, rotate and flip. 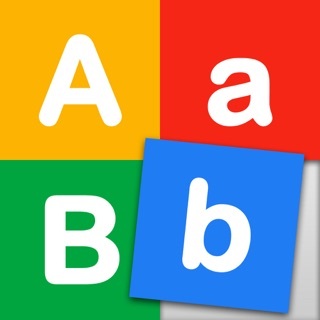 • Play with friends - best with 2 or 3 players (although still great fun by yourself). 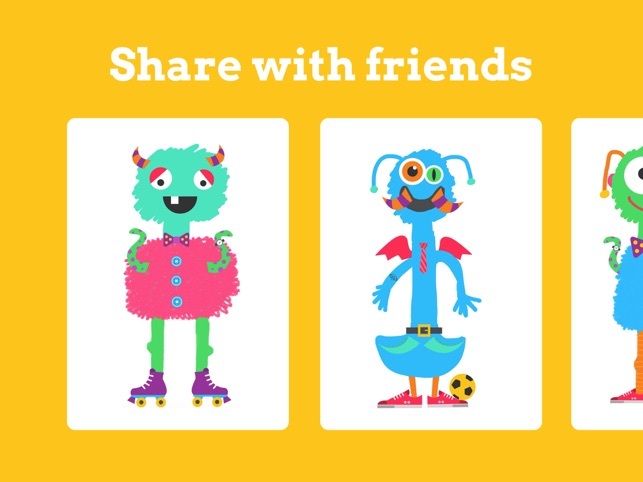 • Parental controls to share your Mash Monster creations. We’d love to see the monsters you make, so send us your favourite Mash Monsters on Twitter! 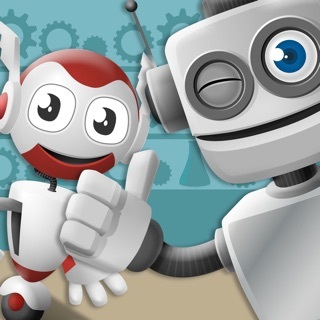 Find us at @mash_monsters or email them to us at creations@mashmonsters.com. Support for iOS 8.0 and above only. 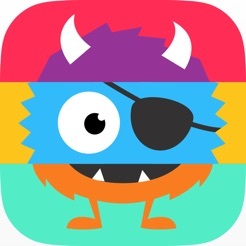 Cute concept but it stalls out creating the monster every single time!